When Ambrose Tree is summoned by his ancient uncle to the brooding mansion Drogo Hall, he suspects it's to hear the old man's dying words and then collect a sizable inheritance. He has no idea he is about to learn the bizarre story of Harry Peake, Cornish smuggler turned poet who became a monster capable of the most horrifying acts. Or that he's about to become psychologically enmeshed in the riveting life of Harry's daughter, Martha, who flees her father for colonial America where she becomes a heroic figure in the revolution against England. Or that he himself has a crucial role to play in this mesmerizing tale as it rushes headlong and hauntingly toward its powerful climax. 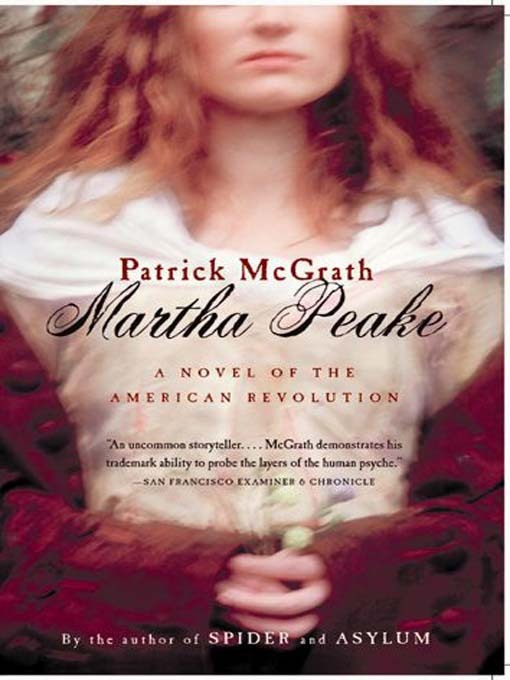 Martha Peake is a spellbinding alloy of Gothic mystery and historical romance.